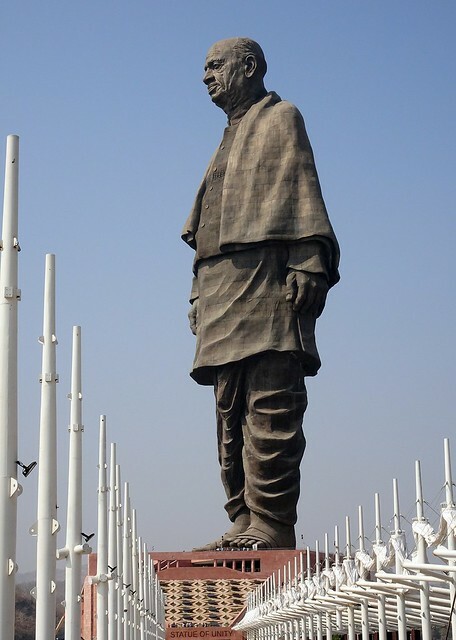 Dedicated to an icon of Indian history, Sardar Vallabhai Patel, The Statue of Unity is making its mark as one of the hottest tourist attractions in Gujarat. The 182m tall statue of the Ironman of India was inaugurated on his 143rd birth anniversary of the, by Prime Minister Narendra Modi. No statue in the world is taller than the Statue of Unity. The massive bronze statue designed by Indian sculptor, Ram Vanji Suthar stands atop the Sandhu Bet Island, on the Narmada River facing the Sardar Sarovar Dam. The statue offers a breath-taking view of the Satpura and Vindhyachal ranges. The statue which is open to the Public from 9 am to 5 pm, six days a week, is segregated into five zones out of which, three are accessible for public viewing. The first three levels of the statue which are open to tourists include a memorial museum, a memorial garden, and an observation deck. Explorers can also visit the audio-visual gallery where they can educate themselves about Sardar Patel’s contribution towards the unification of India in the post-Independence period while enjoying a sound and light show. For selfie obsessed individuals, the statue complex provides a separate selfie point which gets you a spectacular view of the statue and its surroundings. Visitors could also click beautiful pictures of themselves while strolling through the valley of flowers located nearby.